Stansbury’s Mitchell Holdstock (10) and Tooele’s Braxton Chavez battle for possession of the ball during Friday’s Region 11 boys soccer game at Stansbury High School. Holdstock scored a goal in the Stallions’ 2-0 victory. Tooele’s Jozef Runge clears the ball after making a save during Friday’s match. From left, Stansbury’s Creed Hansen, Brandon Bustillos, Dante Silvestri, Gabe Golden and Israel Jones celebrate after Bustillos scored a goal during the first half of Friday’s Region 11 rivalry game against Tooele at Stansbury High School. Stansbury won the game 2-0. 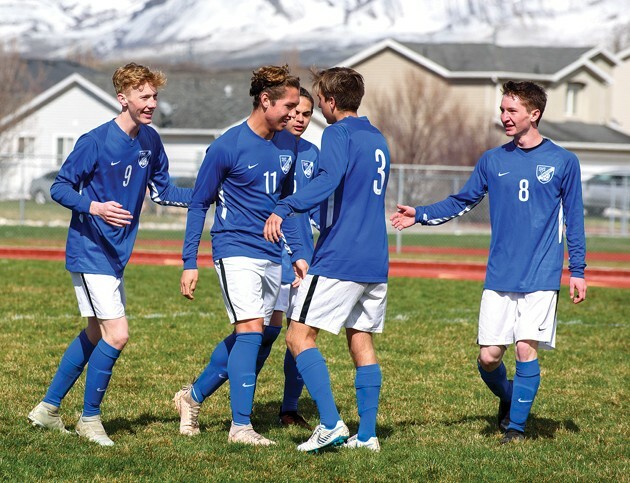 Friday’s Region 11 boys soccer match between first-place Stansbury and last-place Tooele looked like a mismatch on paper, with the Stallions coming in undefeated in region play and the Buffaloes coming in winless. However, Stansbury’s 2-0 win didn’t come easy, as the visiting Buffaloes were up to the challenge of facing their biggest rival on the road. Outside of a 17-minute stretch in the first half in which the Stallions got both of their goals, the teams were fairly evenly matched. 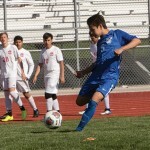 Stansbury (6-4-1, 4-1-1 Region 11) took advantage of some youthful mistakes by Tooele (0-8, 0-5) to score twice early in the contest. Mitchell Holdstock scored in the seventh minute off a free kick by Brandon Bustillos as the net was left virtually empty, and Bustillos added another in the 24th minute as a result of a failed clear. After that, however, the Buffaloes settled in. 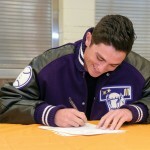 The fact that Stansbury didn’t score again wasn’t for a lack of effort on the Stallions’ part — rather, it was a product of stellar goalkeeping and defense from Tooele, as well as a little luck. 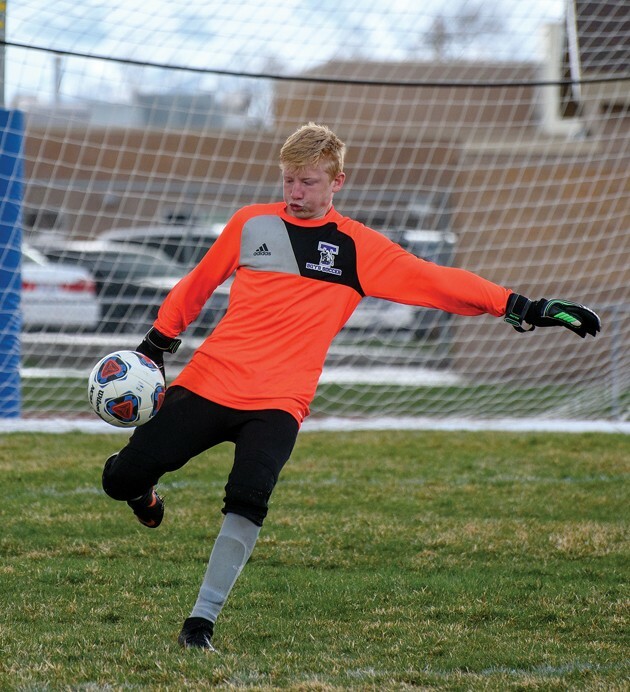 Bustillos rattled a penalty kick off the crossbar in the 39th minute, and Rodrigo Macias was robbed on the rebound by Tooele freshman goalkeeper Jozef Runge. Dante Silvestri, Sam Peterson, Moritz Schwebel, Dedley Gorayeb, Gabe Golden and Sam Holdstock all had chances turned aside by Runge and the Tooele defense as the game went along. “A win’s a win — when you’re up 2-0 and you’re getting shutouts against good teams, you’re not letting your guard down,” Jones said. 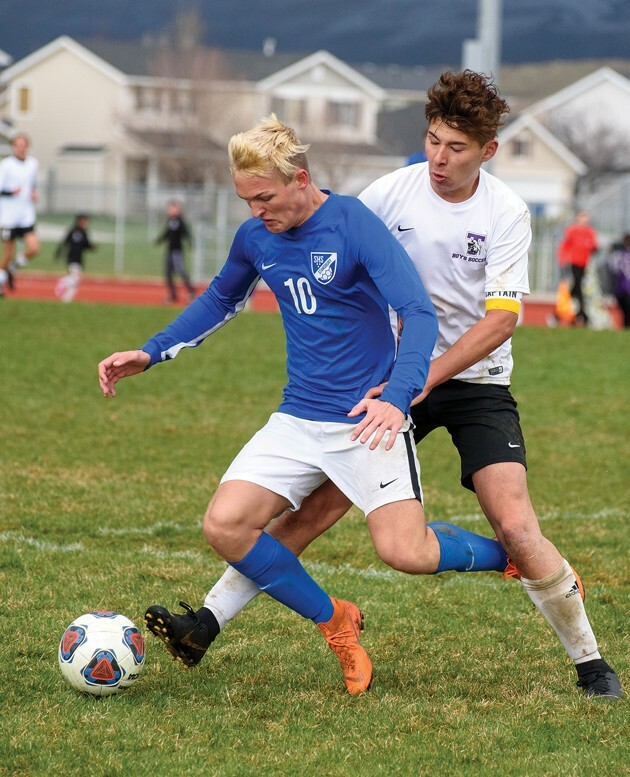 Tooele had chances of its own, most notable when Said Ramirez bounced a free kick off the crossbar in the 58th minute and Ethan Hogan couldn’t quite get all of a shot in the 72nd. Either opportunity would have given the Buffaloes some much-needed momentum in a close game. 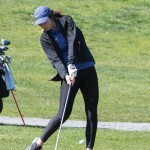 While the Buffs haven’t had much success in terms of wins and losses this season, Duggan wasn’t discouraged following Friday’s loss. With a young roster that has become further depleted by injury as the season has gone along, he has seen a lot of positive signs. Meanwhile, Stansbury remains atop the Region 11 standings even after suffering its first league loss Monday against Park City. The Stallions have already surpassed last year’s region record with 13 points, giving them a three-point advantage over Bonneville with half the region schedule still remaining. Tooele will travel to Ogden for a Region 11 match on Friday. Stansbury’s next match is Wednesday at Ogden.